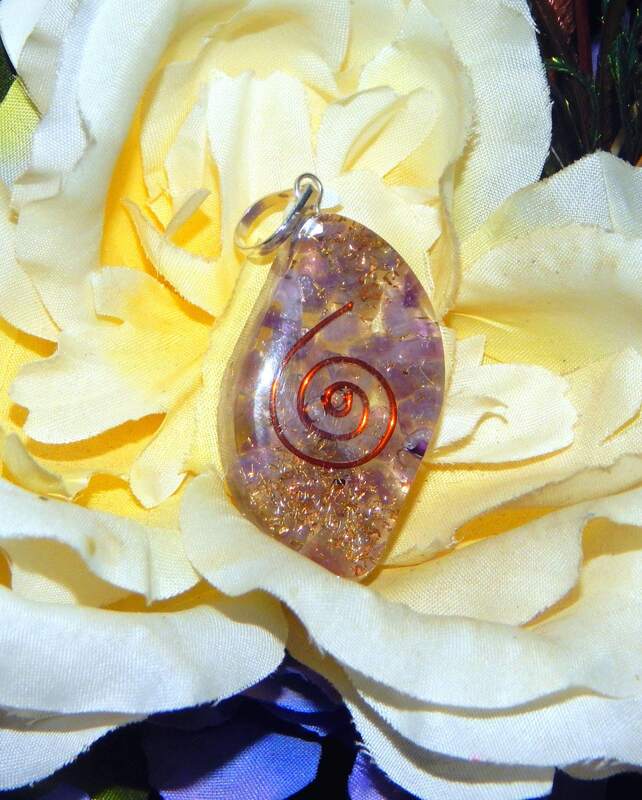 This eye-catching Orgone pendant is hand-crafted with genuine Amethyst, Tibetan Quartz and copper. It has been fashioned in the shape of an 'evil eye' talisman, also known in many cultures as a nazar. 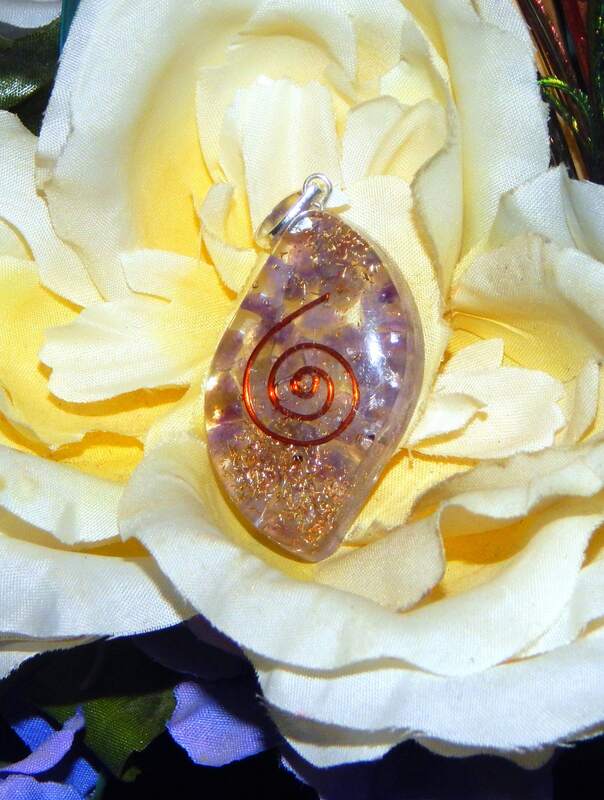 The reiki applications of Tibetan Quartz hail this stone as one which aids in meditation and astral travels. 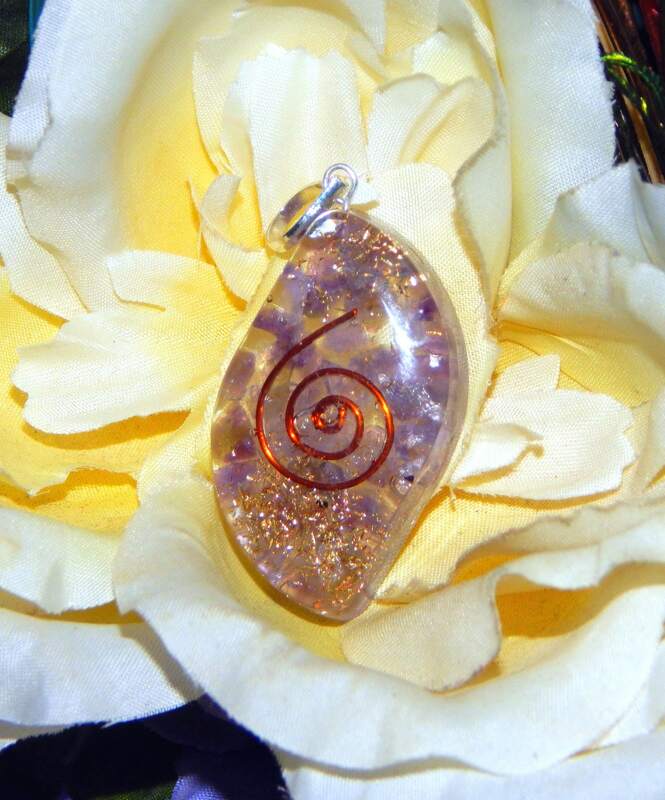 Amethyst is a stone with many reiki applications ranging from healing, to relieving angst and unlocking universal wisdom within one's self- it is said this stone is one of the most widely utilized for enhancing and unlocking the Crown chakra. Includes faux leather necklace cord with extender chain, 18' inches in length. Each pendant is hand crafted, patterns and slight color variations may occur compared to the photos.